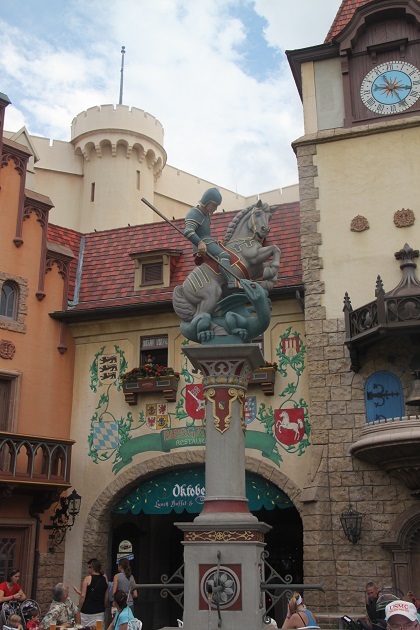 Our last day in Epcot and we had three countries left to explore – first up was Germany. A bit like a fairytale world, it is designed to look like a German town but with architecture from different eras and regions. Son was on a mission though, Karamel-Kueche was calling out to him so that was our first stop. A bakery with all manner of good things even if you aren’t hungry or tempted, it is worth going inside just for the delicious smell. Right next to the bakery is the Christmas shop but it was so packed we didn’t linger and spent our time instead browsing in the Stein shop. We also adored the cuckoo clocks and of course, Son made a beeline for the toy shop. 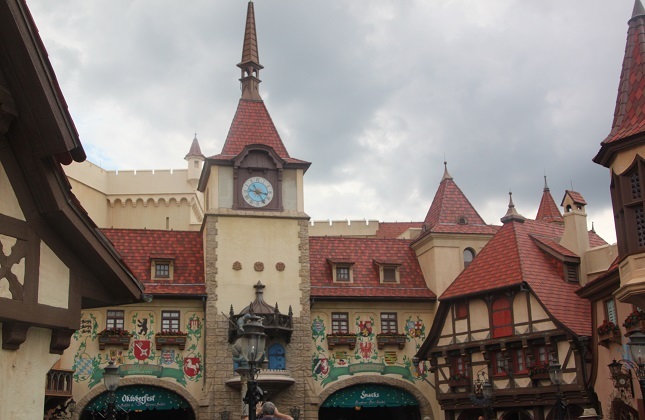 We made it outside just as the clock tower struck the hour and saw the two Hummel figures come out – a bit like the Glockenspiel in Munich. We checked out St George on top of the fountain slaying a dragon too. As we left Germany and made our way to Italy we had a look at the cute miniature trains winding their way through the hillside. Italy seemed to be very much modeled on St Mark’s Square in Venice, Son was excited to spy gondolas on the water too. The piazza had lots of statues and the lion of St Mark. We watched Sergio, a great mime artist and juggler and yet again Son was picked to join in a little which made his day. 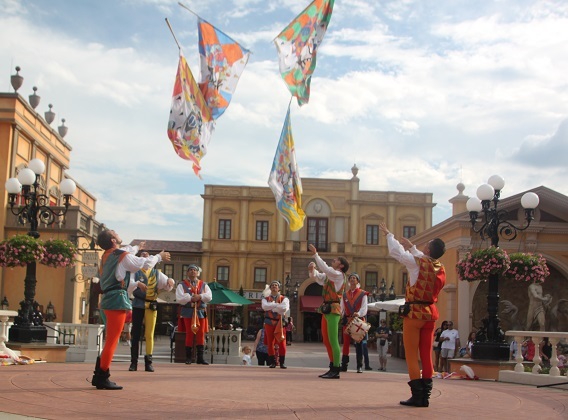 To finish up we saw a display of Italian flag throwing – it was actually far more impressive than it sounds. Our day ended listening to a jazz band playing American classics in the American pavilion and then came the American Adventure. This is housed in an incredible Colonial style building with artwork on the walls and moving quotes. 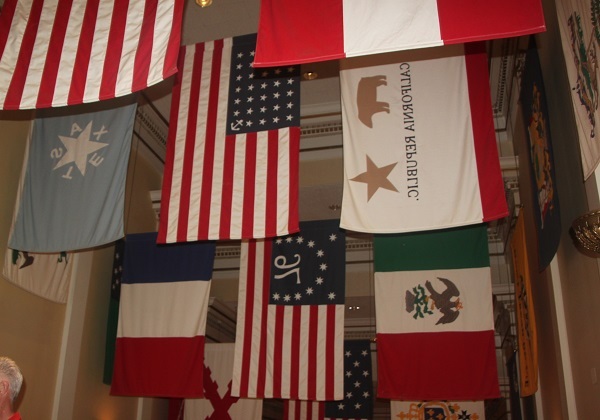 We walked through the Hall of Flags and then into the theatre to see this show. Very patriotic, they use animatronic figures and a huge screen to give a summary of American history in about 25 minutes. A mixture of motion pictures and action on stage, we thought it was great and very clever. We lingered for a short while outside listening to a concert then a quick caipirinha at a Mexican food truck before it was time to leave. Another perfect day in World Showcase. I love Epcot! It is probably most diverse of all Orlando parks. It gives you unique feeling of traveling different countries… Lovely photos, very realistic..
It’s such a different kind of theme park, clever and a refreshing change from all those rides! So nice to read, I didn’t know there were so many interesting things to see and do there! It’s a very diverse and different kind of theme park, we thoroughly enjoyed it! Totally agree George – we gave that our best shot!! Nothing like eating your way around the world! They have just the right mix here of educational and fun Rosemary, so great for children (and their parents)!! Thank you – it is a great place to take pictures!! The attention to detail is actually quite impressive. They’ve definitely done a great job and taken care to make it all as realistic as possible. 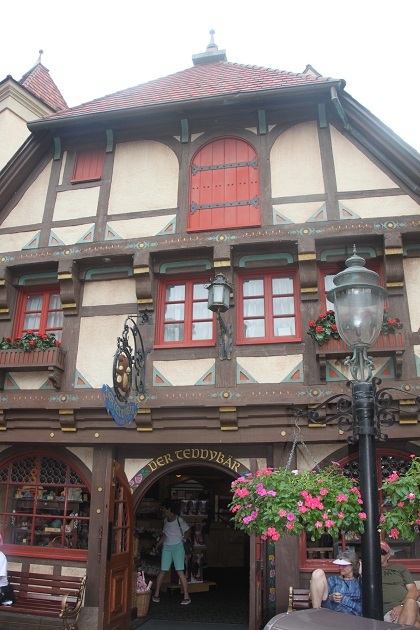 I’ve really enjoyed reading about your time at Epcot – particularly love the photos of Germany as the architecture reminds me of my year abroad spent in Alsace! Looks like a great way to get a taste of so many countries in one place! 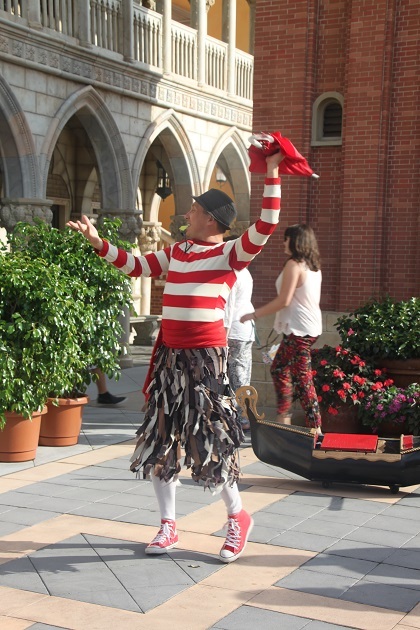 It really is, strolling and tasting the food from each of the countries is such a lot of fun…. it leaves you wanting more though and a desire to visit the real places!! Germany is interesting but the different regional styles are a mess. At least Italy concentrates on Venice! I have enjoyed this series of posts and am disappointed they have now finished! 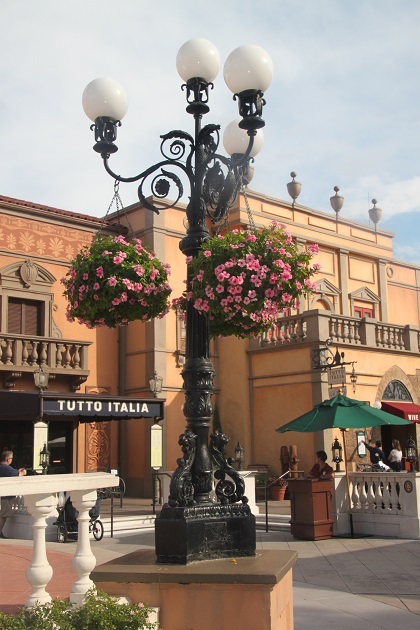 I’ve loved seeing all the countries at Epcot but somehow Italy just doesn’t look Italian. Can’t put my finger on it. I kind of thought the same about Germany!! Still impressive though, I’m nit-picking now! You certainly squeezed a great deal out of your time in Epcot. I am impressed. We tried to get value for money out of those Disney tickets Laura!! 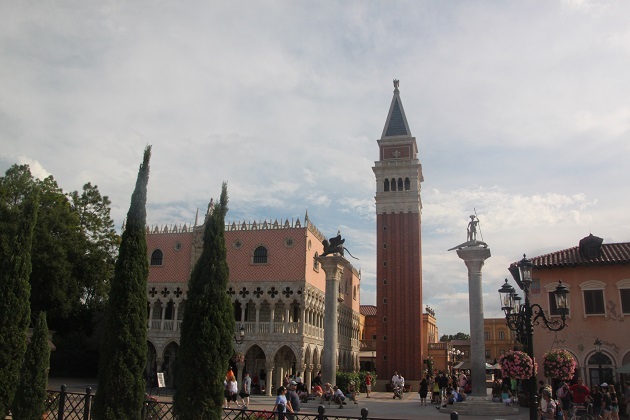 World Showcase is one of our favorites at Disney World, so much to see and eat it is fantastic. Thank you for sharing. We really enjoyed it too Terry, one of our favourites as well, loads of fun but so much to do, it’s great. It does make for a full day. Joy, what a wonderful finale of the Showcase! I have collected Hummels for years, so I found the clock interesting! 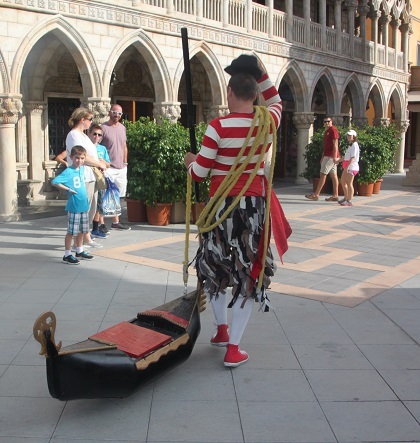 Venice is a favorite city of mine, and of course the good ole USA! So glad you all enjoyed! We loved it all Pam, Venice is a favourite of mine too so it was nice to “revisit” here!! 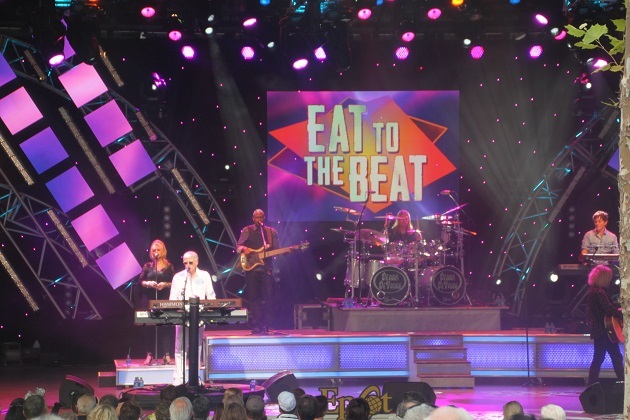 We had the best time at Epcot, nice to look back and remember. Oh definitely looking like a quaint little town there. And I’ll head to the toy shop too! Definitely want to see what’s in store. There were little trains in the hillside too? Sounds like a great sight! 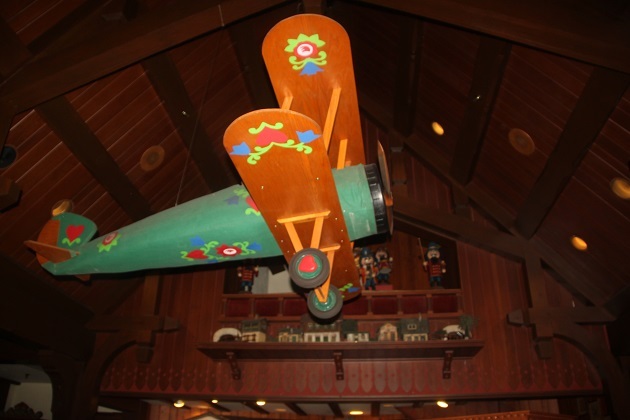 It was fun – the toy shop was just great, full of old fashioned and traditional wooden toys – I loved it too!! Reminds me how beautiful German old towns can be. I think I’d love the Italian section – fun! It is – great food and drink too!! It was such a fun place!! It’s so much fun for kids and adults!! They’ve done it so well, it’s a great experience. 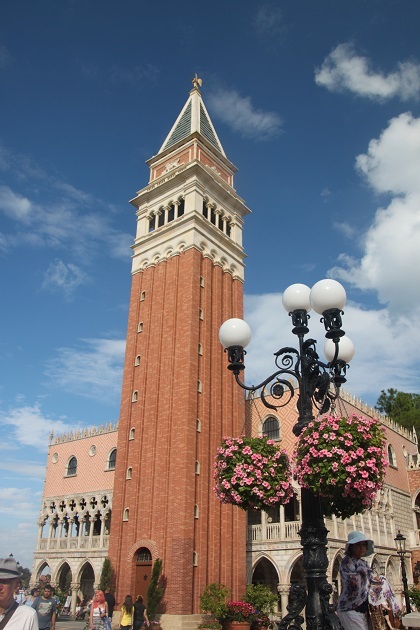 I’ve just came back from Italy and Venice and the place St Mark in Epcot looks so real ! I think it is impossible!! Me too! They’ve done a good job here, almost (not quite) as good as visiting the real thing. 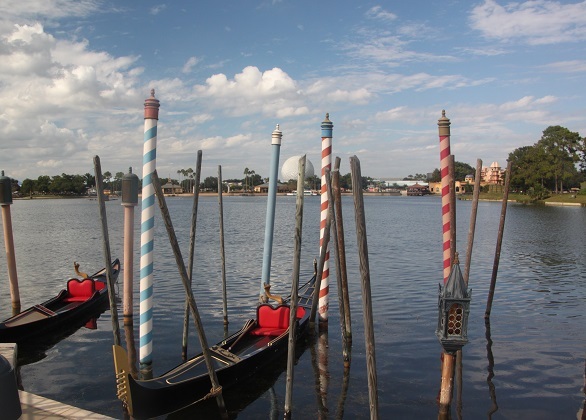 I love the photo of the gondolas – if it wasn’t for the epcott centre in the background you really wouldn’t know it wasn’t Venice! Germany looks really fun – I am just imagining the smells of the bakery now! Oh that bakery – I am drooling now just thinking about it!! I was at EPCOT with my girls during the Food and Wine Festival. It was so much fun to go from country to country tasting different foods. It was our first time tasting escargot and baklava. 5 years later we celebrated a birthday with baklava instead of cake, it’s a family favorite! 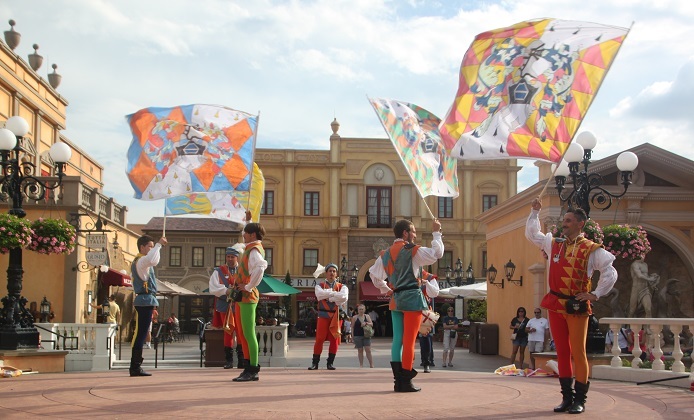 What a magical way to get a taste of culture! Absolutely – we loved trying things we would never get the chance to sample ordinarily and in such a fun way. How lovely that you kept with the baklava too! !